Here at Rocky Top Sports World, we are pleased to report that Gatlinburg, TN is open for business in 2017! Although our Smoky Mountain city has faced many trials in the wake of the wildfires that broke out in late November, we are far along the road to recovery. Since Gatlinburg officially reopened on December 9, 2016, hundreds of thousands of visitors have returned to the Smokies to enjoy everything the area has to offer. To mark the new year, Rocky Top Sports World has put together a guide to everything we’re looking forward to in 2017. There is nowhere else in the world quite like downtown Gatlinburg! We love walking along The Strip and enjoying all of the fun things to see and do in the heart of the city. One of our favorite attractions is Ripley’s Aquarium of the Smokies, which is home to over 10,000 sea creatures. A highlight of the aquarium is the Shark Lagoon: a moving sidewalk that travels for over 100 yards through an underwater tunnel that is teeming with sharks and other undersea predators. For a complete guide to everything to do in Gatlinburg, check out our listing of the best Smoky Mountain attractions and restaurants. Spring is just around the corner, and the Gatlinburg area is loaded with wonderful outdoor activities that visitors are sure to love! For an exhilarating ride down the Pigeon River, families can book a white water rafting adventure with Smoky Mountain Outdoors. If you’re looking for some high-flying thrills, you can enjoy an amazing zipline tour with CLIMB Works. Of course, Gatlinburg is also minutes away from over 800 miles of beautiful hiking trails in the Great Smoky Mountains National Park. The Queen of the Mountain Volleyball Tournament (February 18 – 19) has been recognized by Sports Destination Magazine and will feature over 100 teams. 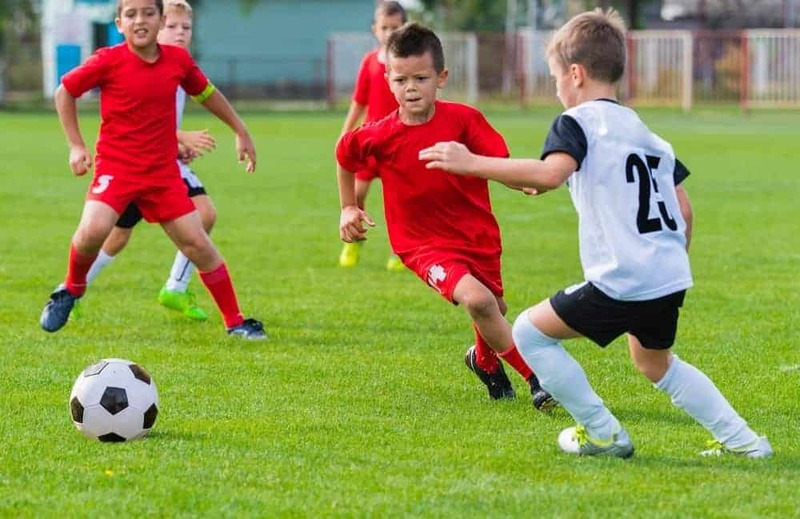 The Gatlinburg Spring Classic (March 11 – 12) is a two day soccer tournament for boys and girls ages 9 – 19. This will be one of the biggest tournaments at Rocky Top Sports World to date. The Smoky Mountain Cup (March 16 – 19) is a series of high school soccer competitions with teams from all around the country. This is the largest high school tournament in the nation! The 16th Annual Tennessee Miracle Classic (May 5 – 7) is a girls basketball tournament with over 100 teams from all over the U.S.
Rocky Top Sports World ranks among the top tournament destinations in the Southeast. With 7 fields, 6 basketball courts, 12 volleyball courts, an onsite grill, and breathtaking views of the Smoky Mountains, our 80 acre sports campus has everything you need for an amazing competition. To learn about all of the tournaments and camps happening at Rocky Top Sports World this year, check out our Gatlinburg Sports Events Calendar! This entry was posted in Gatlinburg on January 31, 2017 by rockytopsports.